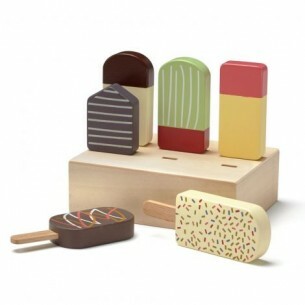 Beautifully hand crafted in wood, this gorgeous play set from Kids Concept comes with a selection of six delicious ice lollies in a pretty stand. 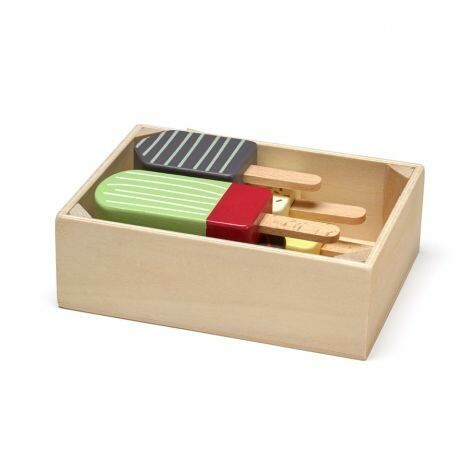 Children just love ice cream and so this is a perfect little toy for them to pretend with. 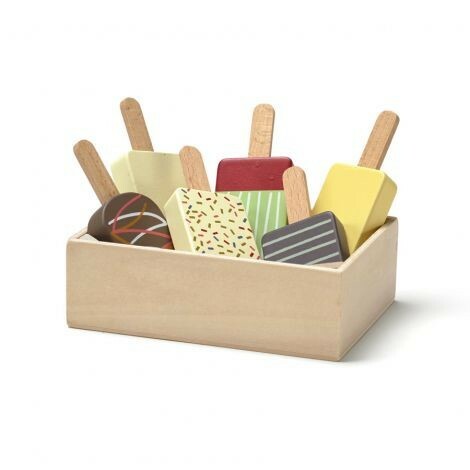 Your little ones will love serving you these yummy treats. Great for children aged 3(+) years.